Spain offers some of the best cycling available in Europe. It is a country of variety and contrasts for which many claims are made, but one thing is certain: Spain offers some of the best cycling available in Europe. The cyclist’s Spain is not that of the Costas, those narrow coastal strips trapped between mountains and sea where millions head for their summer holidays, but of the country where Spaniards actually live, work and play. 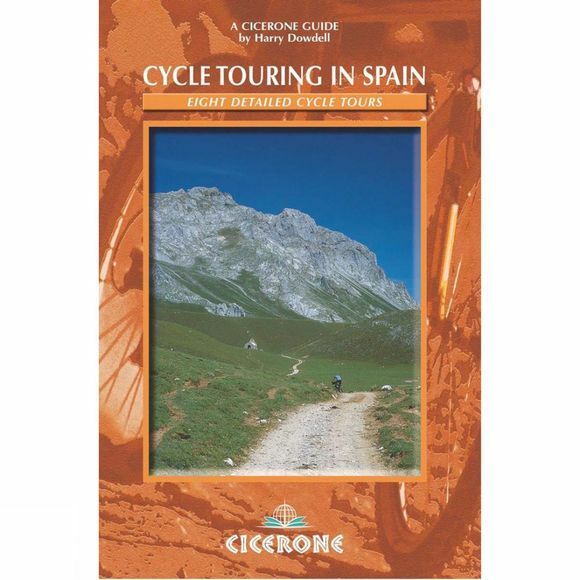 This guidebook contains detailed route descriptions for eight self-contained multi-day cycling routes, described in 5-12 stages. Each stage can be done in a day by cyclists of moderate fitness. However, accommodation possibilities along the whole of each route have been given to allow the reader to tailor the ride to his/her own preferences and abilities. The routes described extend from the Pyrenees and Picos de Europa in the north, through the Sierras of Demanda, Gredos and Guadarrama in the centre, to the Sierras of Nevada and Grazalema and the Serrania de Ronda in the south. They also visit the cities of Avila, Cordoba, Bilbao, Madrid, Malaga, San Sebastian, Segovia and Sevilla. The routes have been designed for maximum enjoyment. The cycling is excellent, passing through the most beautiful parts of the country and visiting many historic and interesting towns and cities. Routes 1 and 2 are perfect for newcomers to cycle touring and Spain as they are relatively short and offer an excellent introduction to the country. 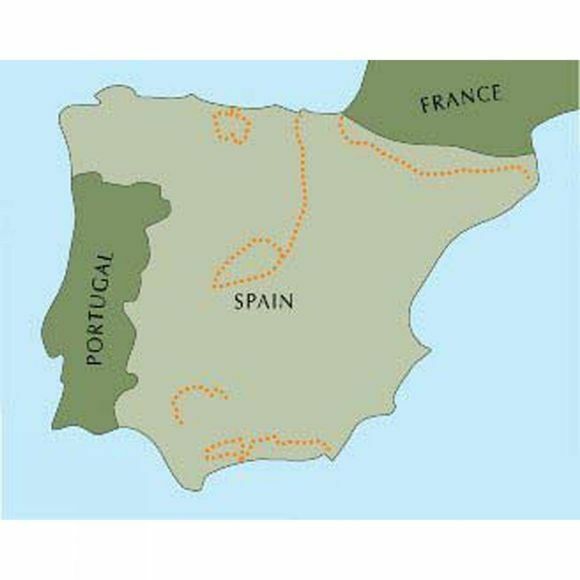 Routes 4 and 6 pass through some of the less visited parts of Spain without encountering too much hard going. The other routes are more physically challenging, but not excessively so.